Mullah Ishak (c. 1841–1892), or, as Vámbéry called him, Izsák Csagatáj, joined in July 1863 in Qumrat the group of pilgrims heading to Samarkand of which Vámbéry was a member. 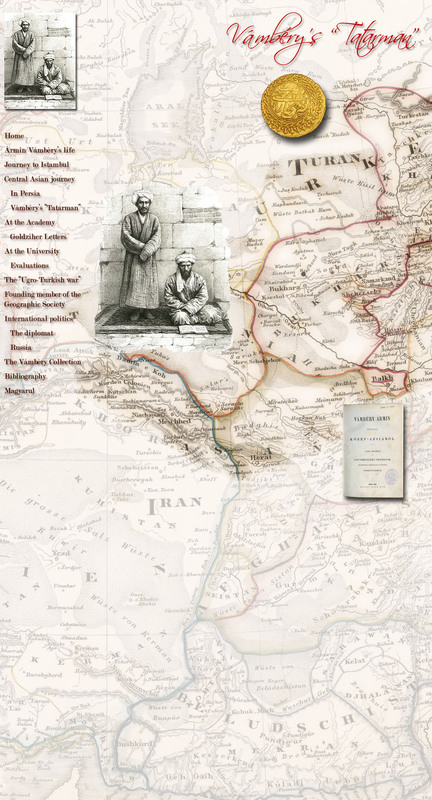 In his Sketches from Central Asia, Vámbéry devoted a chapter to Mullah Ishak, 1 but otherwise little is known about his life. His original destination was a pilgrimage to Mecca, but after his chosen master gradually revealed his true identity during the common journey, he got before a difficult decision, in which the personal influence of Vámbéry proved stronger than his religious zeal and original purpose. In Istanbul he decided to also follow Vámbéry to Budapest, where he started a new life: he learned Hungarian, and from 1864 he started to work in the Library of the Academy as a library assistant. Between 1872 and 1878 Ishak traveled in Hungary and probably also beyond the borders of the country, and in 1879 and 1892 his name occurs again among the officials of the Academy. 4 He was understandably watched with a great interest among Vámbéry’s friends and scholarly acquaintances, and the general curiosity and popularity surrounding him is well attested by the surviving anecdotes and beliefs about him. 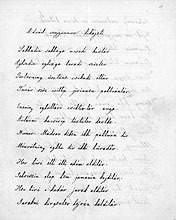 5 His knowledge of the Hungarian language is illustrated by his translation into Uzbek of the Legend of the miracle stag by János Arany, a poetic reconstruction of the legend of origin of the Hun and Hungarian peoples (Adsáib szujgunnun hikájeti), 6 but he also supported Vámbéry as a “living dictionary”. He founded a family, had children, and never denied the Islam. He suffered from emphysema, traveled to the village of Velence to treat his illness, and eventually died there. On Vámbéry’s intervention he received Muslim funerals in the Calvinist cemetery of Velence. 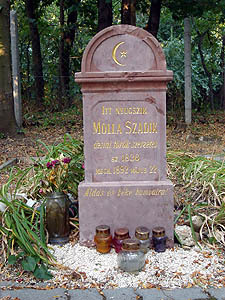 His headstone bears the inscription Molla Sadik (“the faithful mullah”).